﻿ Suicidio! - Translation / Sheet music with Accompaniment of Suicidio! Suicidio!, a setting by Arrigo Boito, was composed by Amilcare Ponchielli and premiered in 1876 (F Major). This aria takes place in the fourth act of the opera, La Gioconda. Premiered in 1876, La Gioconda is the major Italian operatic success of the 1870s (as well as Verdi’s Aida). Today, it is the only opera composed by Ponchielli to still be regularly performed in its version of 1880. La Gioconda has been praised for showcasing the six major voice types of nineteen century opera, each key role being allocated to a different voice type. The libretto, written by Arrigo Boito is based on a play by Victor Hugo, Angelo, tyran de Padoue. The opera is set in Venice (and not in Padua), during the 17th century. Act I opens on La Gioconda, helping her blind mother, La Cieca, to walk, during carnival celebrations. Barnaba desires La Gioconda so when she rejects him, he seeks revenge by denouncing her mother as a witch. The crowd angrily reacts but a young sea captain, Enzo Grimaldo in disguise, contains its violence. Alvise Badoero, a member of the Inquisition approaches with his wife Laura. Laura decides to protect La Cieca and the old woman offers her; in gratitude; her rosary. Barnaba recognizes Enzo Grimaldo, a young noble man in love with Laura, that was banned from the city after Laura’s forced marriage with Alvise Badoero. Enzo admits to him he hopes to manage to escape with Laura and start a new life elsewhere. Barnaba says he will help him but in fact, intends to manipulate the situation to his profit. Barnaba then dictates a letter to Alvise, revealing his wife’s infidelity and Enzo’s plan of escape. La Gioconda, in love with Enzo, overhears him and is left heartbroken. Act II opens on Enzo and Laura planning their escape. La Gioconda, at first, intends to stab Laura in revenge for Enzo’s betrayal, but when she is reminded of how Laura saved her own mother, she changes her mind and helps her instead into her boat. Enzo arrives to the deck and finds out Laura has gone. Alvise’s men are on her traces. He dives into the lagoon. Act III opens on Laura who has been captured by her husband. He wants to force her to commit suicide and has handed her poison. La Gioconda decides to save her and replaces the poison with a drug which creates the appearance of death. Meanwhile, Alvise is holding a party at his palace where Barnaba and Enzo, in disguise, have managed to enter. The party is interrupted by funeral bells and Enzo is so desperate, that he is recognized and captured by Alvise’s men. In act IV, La Gioconda has obtained Enzo’s release in exchange for her giving herself to Barnaba. She has managed to get the body of Laura out of the crypt. Alone, while she waits for Enzo, she contemplates the horror of her situation and considers suiciding herself in her aria: Suicidio! 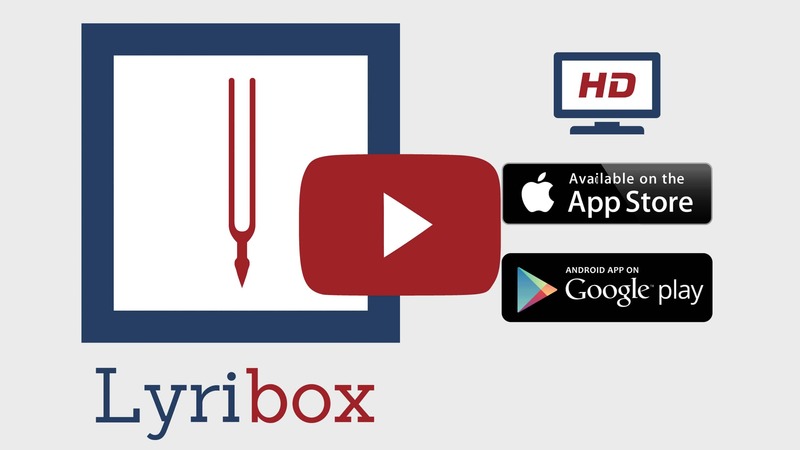 Lyribox, the popular online platform for classical sheet music, accompaniment and ipa translations brings the best by A. Ponchielli by offering the sheet music, accompaniments and translations to the fans gathered around the site, for the best price that could be found online. The sheet music, accompaniments and translations provided by Lyribox for are of highest quality and accuracy. Suicidio! originated was composed by Amilcare Ponchielli. The original lyrics are in Italian. The melodious note arrangement of Suicidio! ranges from pianissimo (very soft) mellow notes to forte (loud) notes carrying the player and the audience through an array of vivid emotions. The sweet soft beginning of the music piece gradually increases and decreases the loudness in smooth transitions. This music piece is decorated with phrases, slurs and an arpeggio. A perfect composition for piano players to try with an intermediate knowledge in music. Students can make use of this sweet music piece to improve their knowledge in music expressions, ornaments and sight-reading, while all music lovers could enjoy this brilliant extract whole-heartedly. Suicidio! sheet music produced by Lyribox is clear, precise and is transcribed in English by Lyribox. By purchasing Suicidio! sheet music from us, you can simply sing along as you play this masterpiece on your piano. Unlike many sheet music sold online with all black notations, sheet music we offer you is marked using three distinct colors. While piano notation is illustrated in black, the music expressions and the lyrics are given in red and blue respectively. Get Suicidio! by A. Ponchielli sheet music from Lyribox today to enjoy and share this wonderful music composition with your friends and family. Suicidio! piano accompaniment is offered by Lyribox is mellow and smooth. It feeds the poem an underlying pulse, adding a sense of propulsion to it. Meanwhile the vocal line flows in a dreamy leisure manner forcing the audience into a calming and languid mood. The vocal line of Suicidio! by Lyribox has the potential to provide slight pitch support for the voice’s sometimes unusual intervals, enhancing the fullness of it. This accompaniment is not at all demanding. Using these rich Suicidio! accompaniments you could create one of the most brilliant performances that is pregnant with layers and layers of expressions. Purchase the Suicidio! piano accompaniment together with the vocal line accompaniment from Lyribox today!